K & T stands for "Kevin & Trevor", two typical English boy's names and was used as this was the harder mix. S & T stands for "Sharon & Tracey" as this was the mix for the girls. It's a stretch to call this acid house. It seems like the mixes are more deep house. As strange as it sounds when it came out it was very popular and people preferred this to actual acid house tracks like Get Real or Acid Over. Strange. Haha yes I remember when this record came out! It created lots of confusion about just what "acid" music was. 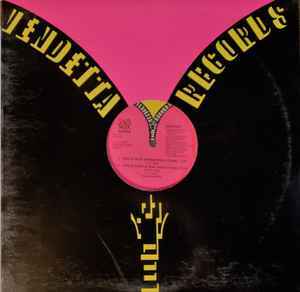 The real house music DJ's knew that the B-side of this record was in fact, not an acid track at all. But your average club hopper thought that the B-side represented acid. The B-side is just a Todd Terry New York style remix of a classic Chicago Acid track. To this day, people still hear songs like "A Day In The Life" by Black Riot (Todd Terry) and they think that is acid track. And then I laugh as they desperately try to debate that! This promo CD apparently does not come with any paper inserts. Just a basic blue silkscreen on the CD with track information listed. I obtained the release date from a laser etched "5/89" on the inner hub of the underside of the disc. The catalog number CD17804 is also etched into the aluminum of the inner hub. "This Is Acid (K & T Mix by Les Adams)" rocked the blocks Worldwide (and most specially here in Sao Paulo, Brazil) back in the end eighties on the clubs - but in fact, the first time I heard the classic was through Belgian friends' tapes during high school with all repertories including all that Megamixes and singles from Europe and USA. Funny as it may seem, I only heard the original version some years after - and I have to confess it's simply amazing as well! "This is acid! ", "I'm gonna give you acid!" will stay on the minds of the fanatic clubbers of that time forever. Big respect for you, Maurice. This record should be called "This Ain't Acid." All three remixes by Les Adams pretty much completely strip this track of all the raw, dark, 303-driven power of the original, and what we're left with is just generic, forgettable house music.